Why would anyone buy a property in France? When we tell friends and family that we are Buying Property in France reactions are divided between those who say ‘how I envy you, I have always wanted a house in France’ and others who say ‘why do people buy property in France?‘ So I will try to answer the group who express surprise at the very popular move of Brits to France. There are many, many reasons but probably the simplest and most quoted one is ‘I have always loved France and dreamt of owning a house there‘. This doesn’t get the unconvinced much further in their ability to understand so let’s break it down into easy to understand reasons. Lifestyle, climate and access makes a home in France so very desirable There is no doubt, however, that prices alone would not drive so many people to buy houses in France. There has to be a love for the country too. One of the most common buying reason given to us by clients concerns the way of life in France. People talk to us about how they value the more gentle pace of life, the love of tradition and the respect for the place people live in and the people they live with. Having lived in France for many years I agree with all of this and fully understand anyone who wants to share in this special lifestyle, one which we often seem to have lost in the U.K. Climate too is often a driving force in the decision to buy a home in France. Once you are below the line of the River Loire there is, undisputedly, more sunshine in France than in the U.K. Winters are shorter, making spring earlier and summer longer and leading to warm autumn days. 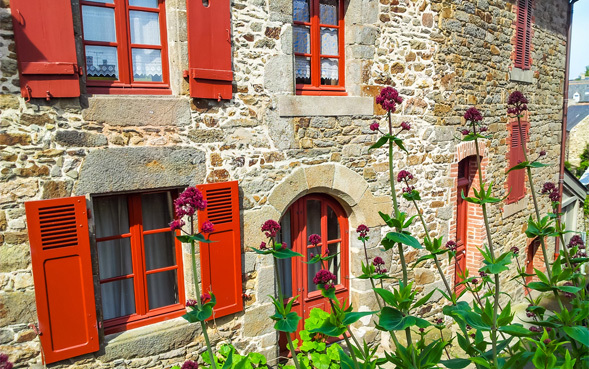 When so many of us in the U.K. suffering from the winter blues brought on by our grey skies, it is not surprising that people buy a home in France to enjoy sunnier days. The joy of the French climate is that it is not too hot, even the South of France usually benefits in the afternoons from cool breezes off the Mediterranean. For many people the beating down, incessant heat of Spain is not as attractive as the bright sun and gentle warmth of France. 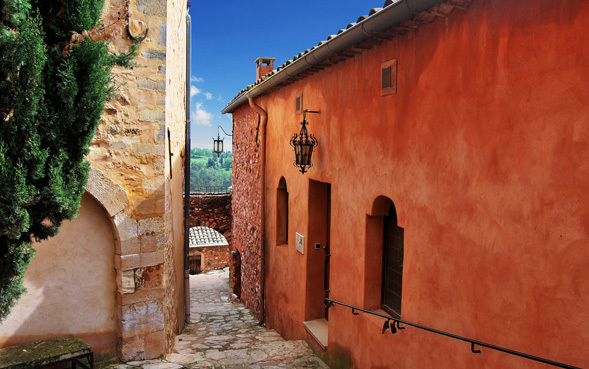 One of the reasons that France is more popular for a holiday home than almost anywhere else in Europe is the ease of access. The whole of France is littered with small airports welcoming flights from all over the U.K. For many people they can use a local airport in the U.K. to travel to a local airport in France and save all the stress of using major airports. Secondly, driving is certainly another option to get to a holiday home in France and many people choose northern France so that they can pile into the car, all the family, their belongings and even the family pets and be at their holiday home speedily and easily. So, with ease of access, more sunshine and a gentle way of life why wouldn’t you buy a house in France, especially when you can buy one for a third of the price of a U.K. house! Have a look at our lovely selection of Featured Property for Sale in France. Find out about Healey Fox and what you gain from using our services to help you find the perfect property in France. Property in Dordogne France. Property in Lot-et-Garonne France. Property in Gironde France.Property in Deux-Sevres France.Property in Haute-Vienne France. Property in Aude France. Property in Herault France. Property in Pyrenees-Orientales France.Property in Tarn-et-Garonne France.Property in Gers France.Property in Haute-Pyrenees France. Property in Haute-Garonne France. Property in Drome Provencale France. Property in Loire France.Property in Maine-et-Loire France. Property in Indre-et-Loire France.Property in Loir-et-Cher France.